The insulating properties of expanded clay are well known and are largely determined by the raw materials from which it is produced. The specific thermal conductivity of expanded clay is one of its main characteristics, which, together with its low specific weight and strength, determines the widespread use of this material in construction. For materials that perform protective functions, thermal conductivity is a particularly important characteristic. For claydite, as a natural material, it depends on a combination of its various qualities. First of all, the thermal conductivity characteristic of expanded clay depends on its fraction (granule size): the larger the granules, the more insulation is needed. Thermal conductivity is influenced by, for example, characteristics such as humidity and porosity of expanded clay. The average thermal conductivity coefficient of claydite is not easy to determine due to the many deviations. In the literature value can be found data that it ranges from 0.07-0.16 W / m.
It is necessary to choose claydite with a minimum thermal conductivity. The higher the coefficient of thermal conductivity, the greater the amount of heat passes through the insulator layer over a certain time and, accordingly, the lower its thermal protection. Thus, the greater the porosity of claydite, the lower its density, as well as thermal conductivity. 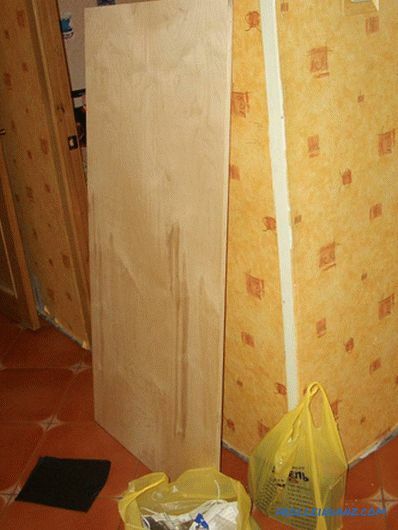 Expanded clay is hygroscopic: with an increase in humidity, it increases its thermal conductivity and loses insulation properties, and with an increase in weight, the load on the floor also increases. 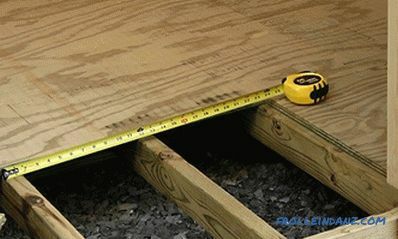 High-quality waterproofing of expanded clay is necessary to preserve the properties that ensure heat preservation in your home. So, expanded clay has thermal conductivity, which depends on its fraction: with decreasing size of expanded clay grain, its voidness increases, bulk density increases and thermal conductivity increases. 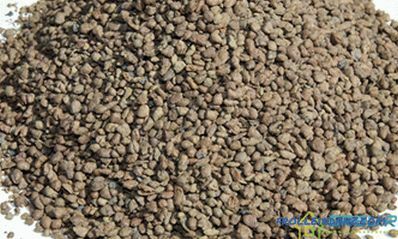 According to the size of granules, expanded clay is divided into expanded clay gravel, crushed stone and sand. 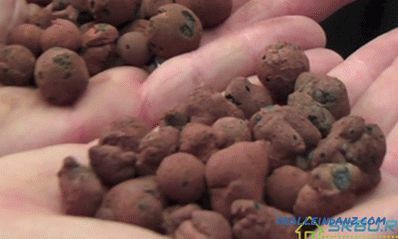 It is obtained from the expanded clay mass by the crushing method. Round or oval particles obtained in a drum furnace by swelling of light clay. Possesses a strong dense surface therefore it is often used, as a concrete filler. It has the lowest thermal conductivity. For example, expanded clay gravel of 10–20 mm of the brand in bulk density M350 and of the brand P125 in strength (3.1 MPa) has a thermal conductivity of 0.14 W / (m ° C). 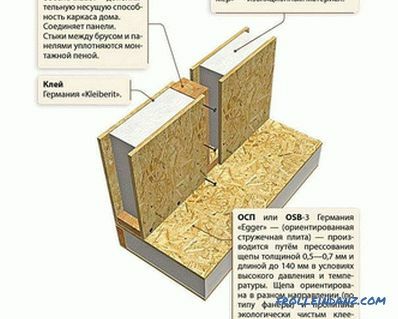 It has a fraction of up to 5 mm and is used most often for insulation. According to research results, the thermal conductivity characteristics of expanded clay depend on the presence of quartz in it at a certain stage of production and, to a lesser extent, on the density and porosity of the material. This leads to the conclusion that the quality of expanded clay is influenced by the method of its production, since vitreous quartz appears during the manufacturing process. Note that single-crystal quartz itself has a high thermal conductivity (6.9-12.2 W / m), which depends entirely on the characteristics of the raw material. From clay, which has a good swelling, quartz is obtained in the glass formation phase, the thermal conductivity of which is higher than that of quartz from clay with the worst swelling. A similar dependence also applies to the properties of expanded clay. Production technology also matters. Silica contained in claydite contributes to an increase in thermal conductivity, while other oxides, on the contrary, reduce it. This does not apply to gases that form when the clay mass is heated to the expansion temperature. It has been established that with a content of 55% H2 + CO in pores, the thermal conductivity of expanded clay is twice as high as when it is filled with air. The size of micropores also affects thermal conductivity: the smaller the pores, the lower the thermal conductivity. At the same time, the porosity itself does not significantly affect this characteristic. The characteristics listed above mainly depend on the mode of production. 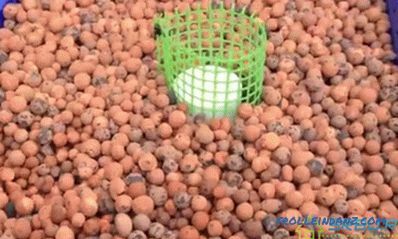 The usual production method, as a rule, does not allow to significantly change the quality of expanded clay. However, modern production methods (plastic method or "joint firing") significantly increase the thermal insulation properties of expanded clay. With a total comparison of the characteristics of expanded clay and foam plastic, preference is given to expanded clay, although the thermal conductivity of foam plastic is very low - 0.038-0.041 W / m.